A touching, tear-jerker told from a 15/16 year old boy with "issues" POV via letters to an anonymous person. The writing is choppy at first, very much like Charlie's broken mindset. Even without the 90's dates at the start of each letter, it was obvious it took place in the 90's with musical references and I enjoyed that as I was a teenager myself in the 90's. While I didn't have the personal demons Charlie did, I could relate to the loneliness he felt and the type of friends he most readily associated himself with. It took me back to my own youth. I sort of regret seeing the movie before reading this book because I knew what was coming and I imagine the written word would have been more powerful if I'd read it before letting the movies impact settle in. Still, I think the movie adaption was really well done, which isn't always the case. And they couldn't have picked better actors to portray this cast of kids. 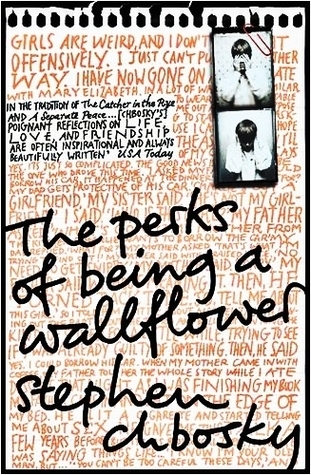 Sign into Goodreads to see if any of your friends have read The Perks of Being a Wallflower.